James Salter’s latest novel is a story about love, but it opens with war. Philip Bowman is aboard a navy ship in World War II, bound for Okinawa. He is the ship’s navigation officer, “and also, he had learned just two days earlier, lookout officer.” It is the first cause for the nagging uncertainty that will haunt Bowman all his life, and when he proceeds to bury his head in the instruction manual, we are brought to a level of appreciative understanding. We do not scoff at his instincts like his buddy Kimmel: “Jesus, we’re in the middle of enemy waters and you’re sitting there reading a manual? This is no time for that. You’re supposed to already know what to do.” Bowman never quite figures out what to do, in love or war. But he tries. It seems hardly an accident that Salter has written a novel that follows the course of one man’s life, to the bitter end. Salter himself is 87; he hasn’t published a novel in 34 years, and it is tacitly understood that this will be his last. With All That Is, Salter has made it known that he has tried to move beyond his old reputation as a “writer’s writer,” a crafter of the perfect sentence that nobody reads. Bowman hesitates, and even when he decides that what has mattered most are his experiences in the navy during the war, he isn’t sure he’s told the “truth.” What bothers him is not that he may have given a misleading answer, but that he doesn’t know the truth himself. He doesn’t know what’s mattered. The war has mattered. It has imbued in him a sense of nobility, courage, and principle, whether Bowman is aware of it or not. And love should matter, too. Bowman flits from one romance to the next, but he takes each one seriously. They are not mere lustful fits of passion; he treats them as something more. He lets himself get carried away by love, “the simplicity and justice of it,” even as he continuously fails. Love should matter more than anything, and yet Bowman never stops wrestling with what it means. How serious it is, and in what way, he never figures out. And this time, there’s no instruction manual. Salter also told the Paris Review that he thinks the term “fiction” is “crude,” that the distinction between fiction and nonfiction is but an “arbitrary separation of things.” Fiction remains committed to truth. One’s own story is inevitably a part of that. And out of all of Salter’s novels, All That Is seems the most autobiographical: Both Salter and Bowman fought in wars, both are literary men who move in literary circles, and both struggle with divorce. 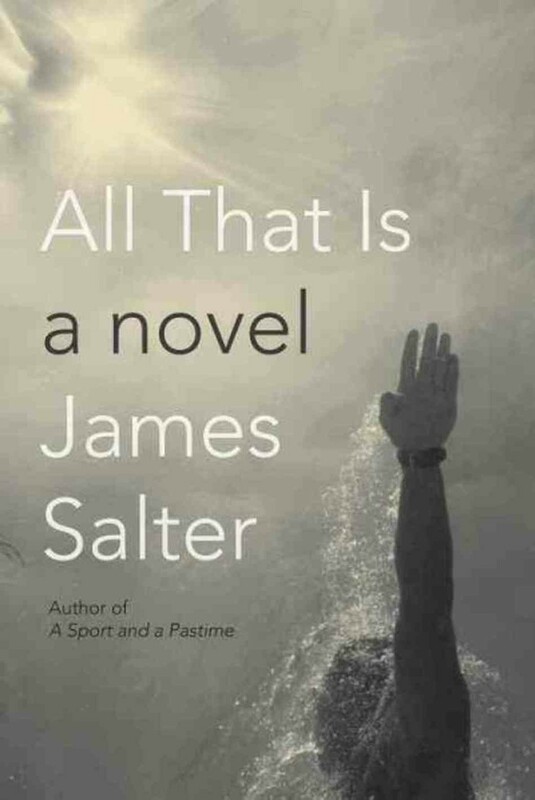 All That Is seems to be Salter’s attempt to find the things that have mattered in his own life, the things that are worthy of a novel—the things that are more than just lean, well-honed, remarkable words. Again, Salter: “I believe there’s a right way to live and to die.... I’m referring to the classical, to the ancient, the cultural agreement that there are certain virtues and that these virtues are untarnishable.” If he hasn’t found them, it’s not for lack of trying.